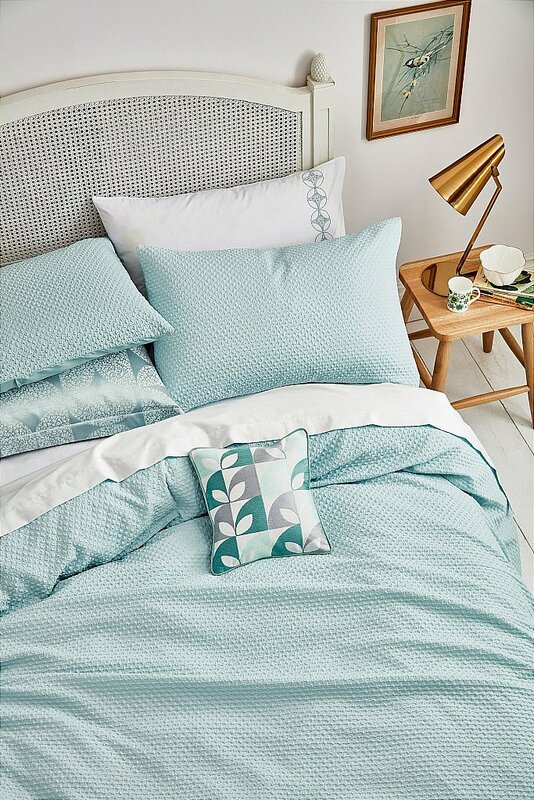 Beautiful bedding in Aquamarine by Helena Springfield. This casual and contemporary weave features a repeating geometric pattern. Look a little closer and you will see that each shape features an intricate ditsy floral design within it. I would like more information about Dory Bedding in Aquamarine by Bedeck.